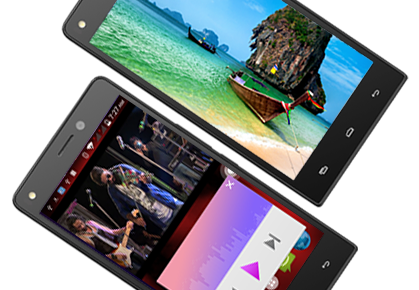 Xolo 8X 1020 is a selfie-focused smartphone by the Mumbai based handset maker. Its 5 MP front facing camera has features to easy click a selfie, edit it, and share it on social media and other image sharing apps. 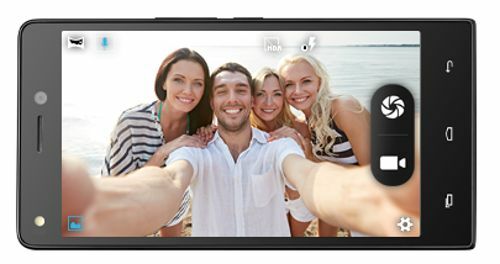 It is a dual camera phone with a front camera of 5 Mega-Pixels. 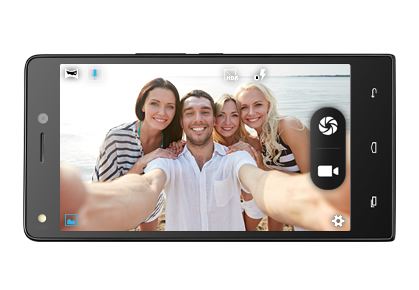 It comes with Flash feature for clicking crystal clear images and capture the special moments forever. The rear camera of 8 mega-pixels is packed with Exmor R sensor that allows you to click picture-perfect images in spite of dim light conditions, thanks to the bigger pixel size of 1.4 micron & aperture size of 2.0. 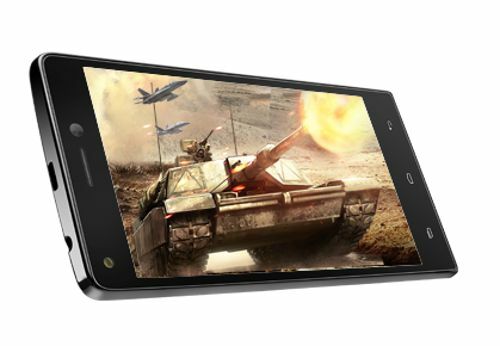 Xolo 8X 1020 has a beautiful exterior with an elegant finish. The users can enjoy radiant visuals on a big screen of 5 inches (12.7 cm). Is it a full HD IPS Display that causes the least reflection for viewing the images from any angle, even when you are in sunlight. A powerful 1.4 GHz True Octa-Core processor enables it to give an impactful performance in the most energy efficient manner. The 8 independent cores flawlessly support the functioning of even the most demanding applications without any hassles. The phone comes with Android operating system, Kitkat version 4.4.2, and hence it's user-interface is user-friendly and easy to navigate. The smartphone keeps you connected with your friend and folks on social media, and lets you access the internet in no matter where you are and when you want. Courtesy of the connectivity features the handset is packed with. You can make use of Micro USB, USB 2.0, 3.5 mm Audiojack, GPS, Google Maps (Turn-by-turn Navigation), Android Browser, Bluetooth, and Wi-Fi for making connections. It is a Dual SIM phone that can run on either: GSM and WCDMA, with a HSPA+ of up to 21 Mbps. With sensors like Accelerometer, Proximity, Ambient Light Sensor, and Magnetometer you will always get the more than just desired results. 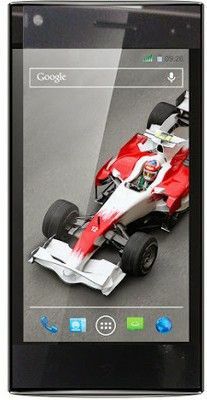 Say 'goodbye' to boredom once you are the proud owner of a Xolo 8X 1020. It supports all major audio and video formats like MP3, AAC, 3GP, AMR-NB, AMR-WB, MIDI, WMA, AVI, 3GP, MP4, FLV, WMV, MOV, M4V, and MKV. 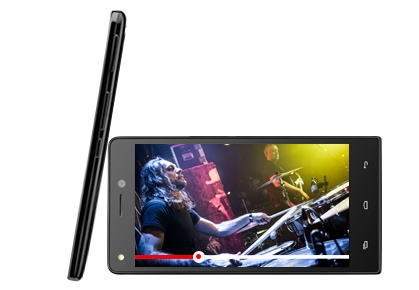 It is capable of recording and playback of videos of 1080 pixels in full definition. There is also the option of FM radio, which makes the smartphone a complete package for entertainment purposes. 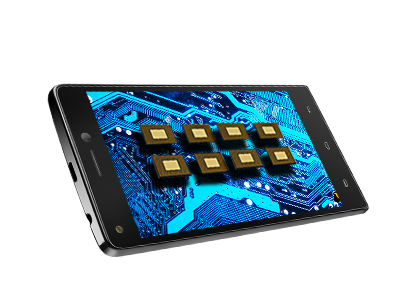 Xolo 8X 1020 offers a seamless performance with 1 GB of RAM and 8 GB Internal Memory for storing as much multimedia you want. The memory can be further expanded with the help of a micro SD card of up to 32 GB. It houses a massive battery of 2500 mAh battery in a slim body of 9 mm thickness. You will never run out of power for using the phone any time you want, and anywhere you are. As schedule received on expected date... The product packaging is good. About the product its great value for money with dual sim... Its lightweight & sleek design make it comfortable to hold & grip. Android OS Kitkat v 4.4.2 with 8 GB Internal Memory all i need is this happy with Xolo 8X 1020 mobile. Good service by INFIBEAM. On/Before time delivery with good packing. Good Mobile with great looking and great performance. XOLO Brand is good perofrming now mon the top brands. I happy with new xolo 8x 1020 thanks to infi beam my view this mobile very good battery backup and its speed super fast because this mobile is octa core i m happy . Got as a gift from Dad, Dad is very meticulous before buying anything, initially was surprised but then fell in love after using it. Thanks Infibeam for the swift delivery, I am going to treasure it. Good option for the money invested. Got this last week, I should say it is compact and fits in to pocket easily. Love the user interface of it and also looks sleek. Good option for the money invested. The first impression of this phone is from its display. Crystal clear dislpay which impresses user on the first. Camera could have been much better but for the price they offer, its surely purchasable. i am using this phone with my woofer at home,and crazy sound quality i've experienced. If you're sound lover, you should go for this phone. bought this 3 days back and it was quickly delivered. I also ordered its cover and its very nice. I think this is the phone if you're budget lies in this range. i got this as birthday gift..first on hearing the name xolo i was not excited, but when i unboxed and used it, i was surprised with the quality. Its really worth the money..thanks manoj for the wonderful gift. i bought the phone last week only..and watched 2 of my favourite movies on it..what a clear quality of video. Battery also lasted long. ..